Afternoon tea anyone? 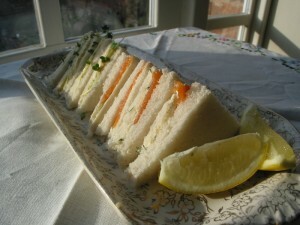 Fresh baked scones, plenty of hot tea, finger sandwiches and delicious cakes. Who doesn’t like it? Given the recent rise in popularity of afternoon teas I think the answer is not many! It seems to go down well with all ages, and works for almost any occasion….from weddings, to baby showers, birthday parties and christenings. 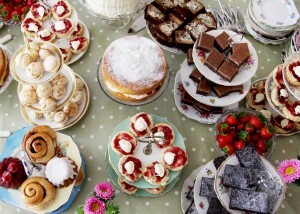 I’m lucky enough to spend lots of time at vintage tea parties. With enquiries flooding in at the moment I thought it might be a good time to share a few tips on how to go about creating a vintage tea party. Take it as far as you like. Just stick to the beautiful china and finger sandwiches or go for it with a vintage dress code, appropriate music and games from a bygone era. Vintage afternoon tea parties can be vastly different. Decide whether you are going for the country fate, pearls and lace or Mad Hatter tea party theme…accessorise accordingly. Vintage china is a must…whether you borrow, buy or hire it, pretty cups and saucers, little tea-plates, teapots and embroidered table linens all need to be there. The tea somehow tastes better, guests will love choosing which cup to use, and it becomes a real talking point at the party and will make it a memorable occasion. Sandwiches need to be tiny, tasty and pretty. The crusts need to come off before you got them in to triangles or fingers. Little open sandwiches cut using a round or fluted pastry cutter also work well. Be sure to use a small amount of butter to stop your sandwiches going soggy, and make them at the last minute…finger sandwiches dry out very easily. Use loose leaf tea…it makes a world of difference. Not just the flavour, guests will also love the novelty of using a tea-strainer to get their perfect cup of tea. Depending on the size of your party, borrow extra kettles, fill flasks with boiling water, or get your hands on an urn. Plenty of hot tea is essential. 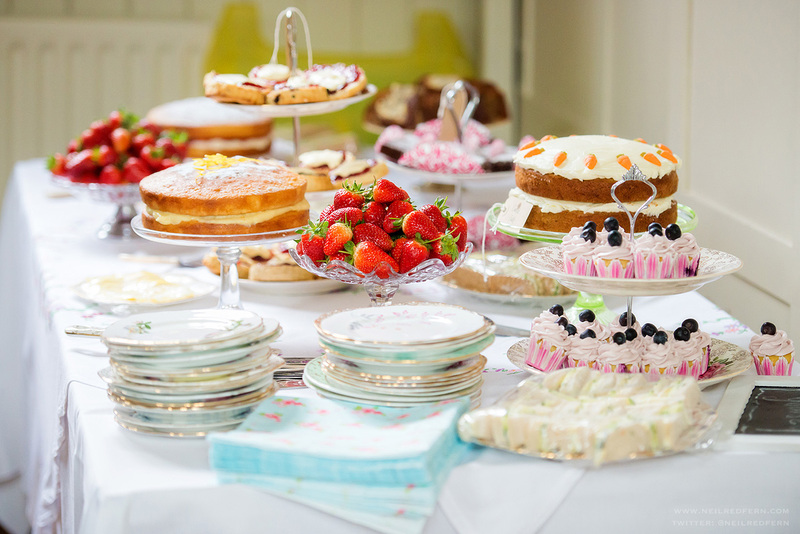 Bake plenty of cakes…your guests will appreciate having a choice and you don’t want those cake stands looking bare…the cakes are a big part of the overall look. Put bowls of fresh strawberries out, or arrange them around your cakes. A great way to add a really summery look. Your tables will look gorgeous laden with pretty vintage china, think about any additional decoration you might like. Little glass vases filled with flowers. Bunting strung along the side of the table. Bird cages filled with flowers or candles. Little tea-lights or strings of pearls. Candelabras. All can be easily and cheaply brought or hired. It doesn’t have to be all about the tea…a glass of something fizzy works very well with a vintage tea party. Even your alcohol can be served in teacups. 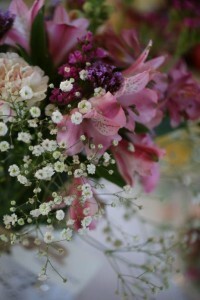 Use fresh flowers to help decorate the room. Hand tied, in bird cages, or in little glass vases. Go for traditional flowers such as roses, lavender and sweet-peas. Hope these tips help get your tea party planning started! Get in touch to find out more about how we can help you.